This gorgeous bedside table is both practical and beautiful , it includes a handy drawer and cupboard , stylish cute brass handles and also stunning handcrafted gardland detailing. 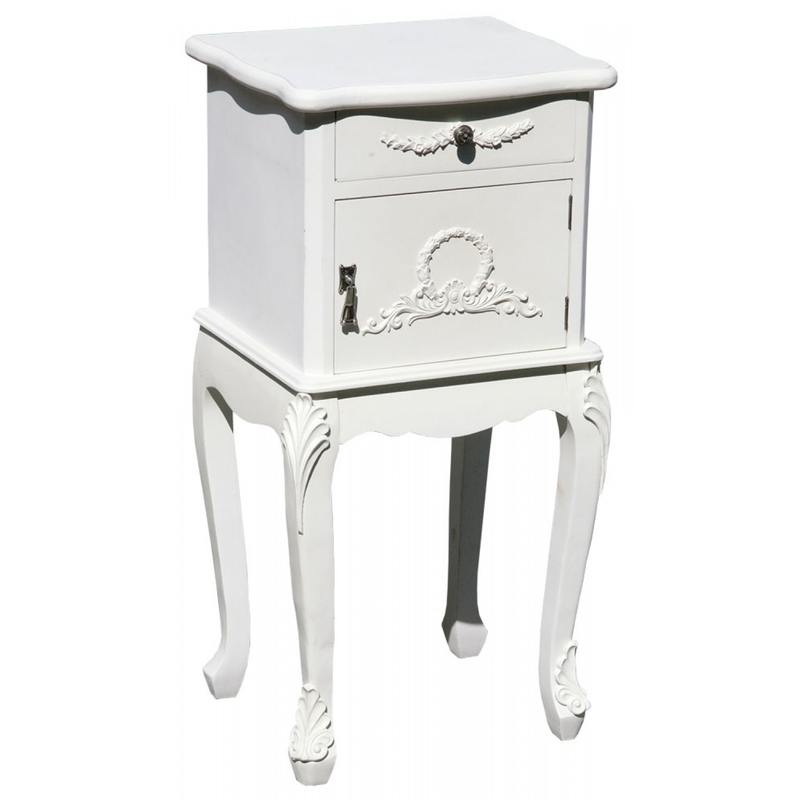 Comes with gorgeous cabriole legs and a handpainted Antique white finish to complete the classic and elegant look. This stunning bedside has a small top drawer and cupboard, each with a intricate design with a smooth finish.